The Dell Venue Pro has been a source of some contention with regards to how much RAM that nifty looking device actually packs. 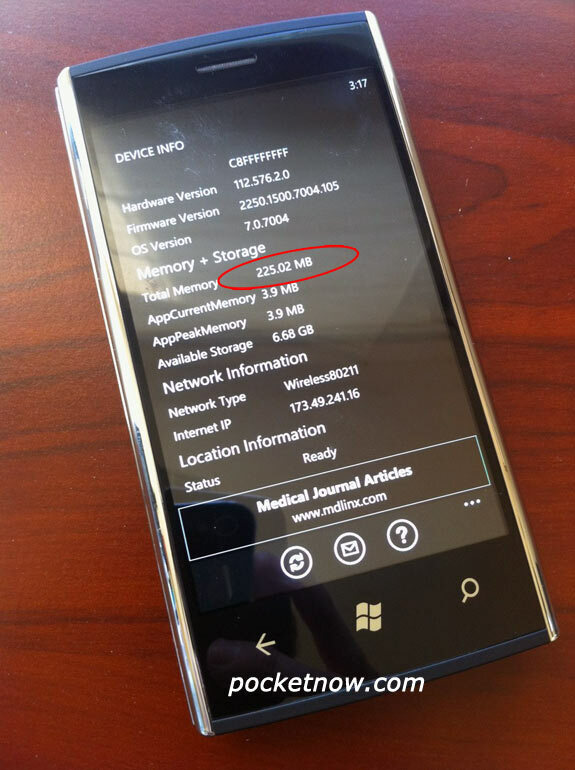 Dell hasn’t officially said, and WP7 doesn’t have the native ability to display how much memory there is. However, using an app called “Device Info” you can plumb into the depths of your phone, and PocketNow has found the rather saddening truth: the phone only has 256MB of RAM. Other WP7 devices have twice as much, with the standard clocking in at 512MB, but Microsoft’s requirements for the platform only clock in at 256MB, which may explain why Dell opted for the lower amount. I really wanted this phone for my wife and me, but I won’t buy it with 256MB instead of 512MB. This is a 3rd party app reporting the ammount of RAM. This is not conclusive. For all we know the app reads the ammount incorrectly.